As America’s percentage of overweight and obese people continues to rise, nutritionists and health care professionals tell us we need to eat better, reducing consumption of fatty and sugary processed foods, and increasing our intake of fresh fruits and vegetables. In fact, in Massachusetts and Maine doctors are “prescribing” vegetables for low-income patients, whose families are most at risk for overweight. 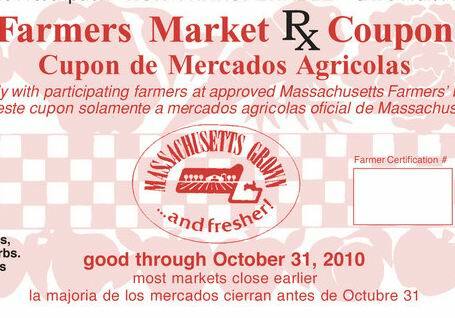 The doctors are giving coupons equal to $1 per day per family member redeemable at farmers’ markets for fresh produce. It shows just how valuable doctors consider a varied diet that is high in nutrient-rich vegetables. Stewardship of Life entails taking care of all of the gifts God has given us. Certainly we all can take better care of our wonderfully designed bodies. Though no one enjoys perfect health, and many diseases and medical conditions are beyond our control, we can nonetheless do the best we can to minimize our risk factors. A good diet and regular exercise go a long way toward keeping our bodies healthy, and that has many important ramifications. Physical health improves our energy and our attitude. It also keeps our medical costs low and improves longevity. The folks in Massachusetts and Maine are helping low-income people to make fresh, local produce a part of their daily diet. It’s a great idea that can benefit all of us. For me, I can’t get enough fresh, local tomatoes, cucumbers, peaches and apples. What fresh, local produce is for sale at farm stands or grocery stores near you? Reprint rights gladly given to congregations and other religious organizations for local, non-commercial use. Just include this notice: “Copyright (c) 2010, Rev. Robert Blezard, www.stewardshipoflife.org.” Other uses, please inquire: rcblezard@hotmail.com.